"Proper technique and completion of a full range of motion is paramount to prevent injury to connective tissue, muscle, and joint capsules. The exercises also should be conducted in a manner that stimulates the actual athletic activity as specifically as possible. This may require modifying the equipment, starting position and/or speed of contraction. Sets and repetitions should accommodate the needs of the particular athletic activities with emphasis on improvement in muscular strength, muscular endurance, or muscular power. As in any weight training session, warm-up is essential before a session, even if the resistance training activity will only involve a relatively light load. Finally, flexibility exercises need to be instituted along with the strength training in order to keep the optimal functional range of motion throughout the exercise." Rhea (2003) suggests there is no practical difference in injury rate between using free weights or machines in healthy adults. Requa RK, DeAvilla LN, Garrick JG. (1993) Injuries in recreational adult fitness activities. Am J Sports Med, 21(3):461-7. Injuries sustained during weightlifting training and weightlifting competition are substantially lower than injuries incurred from other sports such as football, gymnastics, or basketball. Stone MH (1990). Muscle conditioning and muscle injuries. Med Sci Sports Exerc. 22(4):457-462. In college football players, time lost from injuries during weight training amounted to 1% of the time lost from injuries during football participation. Zemper ED (1990). Four-year study of weight-room injuries in a national sample of college football teams. Natl Strength Cond Assoc J. 12(3):32-34. Weight training injury rates are low. Free weights do not produce more injuries, compared to machines (Ralph et al. 1993). Weightlifting injuries are lower than those sustained in other sports (Hamill 1994, Stone 1990, Stone et al. 1993). Closed-chain exercises like leg presses and squats can improve knee stability. The stresses placed upon the joints and muscles during closed- chained movements are more functional and offer more natural stresses on the body as compared to open-chain exercises like leg extensions. See Hamstring Weakness and Torque Forces During Squats. Peterson, J.A, Bryant, C.X., Understanding Closed Chained Exercise, The Fitness Handbook, 2, 125-130, 1995. A shoulder width grip is suggested when performing the upright row. The greater internal rotation required for a close grip upright row decreases the subacromial space (area between the greater tubercle of the humerus and acromioclavicular joint). This may potentially impinge the supraspinatus tendon and the subacromial bursa (a protective sac of fluid cushioning the bone from the tendon). A wider grip allows for more space between the shoulder joint and the head of the humerus allowing for more clearance of the underlying structures. For the same reason, when performing a one arm upright row, keep the elbow pointing directly to the side, instead of angling it slightly to the front. Shoulders should be kept back since scapula protraction can decrease width of subacromical space, possibly increasing risk of subacromical impingement (Solem-Bertift E 1993). An upright posture with chest high and shoulders back, bar kept close to the body, and a medium to slightly wide grip can facilitate a more ideal shoulder posture. The subacromial space as well as other biomechanical and biometric factors vary from person to person so some individuals may be more prone to complications while others report no problems performing the narrower grip upright row. Also see Over Generalizations. Are Resistive Neck Exercises Dangerous? Isolated dynamic weight resistive cervical / neck exercises are not only safe, but they have been used in sports conditioning programs by millions of athletes to reduce the risk of injury on the playing field. Strengthening the neck muscles with weight training is endorsed by many sports organizations such as the National Strength & Conditioning Association and the National Collegiate Athletic Association. Lever resistance neck machines (eg: MedX Rehabilitative Neck Machines) are also used as a therapeutic modality for chronic neck pain. Dr Brian Nelson and his colleagues with HealthPartners Physicians Neck & Back Pain have published several medical studies demonstrating the efficacy of aggressive weight resistive exercise for both lumbar and cervical spine health. See Interview with Dr Brian Nelson, MD, Orthopedic surgeon. For those unaccustomed to exercising the neck muscles under a load, allow the muscle and joint structures to adapt by beginning with a very light resistance and add additional resistances incremental over time until an appropriate workout resistance if found. 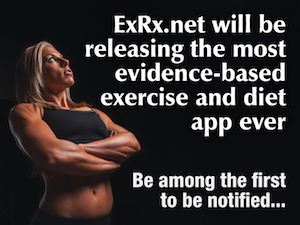 All the same Exercise Readiness Screenings and Adaption Criteria apply. Bronfort et al (2001). A Randomized Clinical Trial of Exercises and Spinal Manipulation for Patients with Chronic Neck Pain. Spine 26:7, 788-799. Naish & Burnett (2013). Can a Specific Neck Strengthening Program Decrease Cervical Spine Injury in a Men's Professional Rugby Union Team? A Retrospective Analysis. Journal of Sports Science and Medicine. 12, 542-550. Previously, cardiac patients were cautioned against strength training for fear that exertional blood pressure elevation would lead to arrhythmia, or myocardial ischemia. Rehabilitation thus consisted of mostly aerobic exercises. Multiple studies have shown that not only is this false, but that resistance training, as compared to aerobic training not only improved strength and cardiovascular endurance, but also had fewer cardiovascular complications of angina, arrhythmia, ischemia, or blood pressure abnormalities. Moreover, the patients achieved significant muscle strength to return to their occupational and leisure activities. McCartney N. Role of resistance training in heart disease. Medicine and Science in Sports and Exercise 1998; 30(10): s396-s401. Benjamini Y, Rubenstein JJ, Zaichowsky LD, Crim MC. Effects of high intensity strength training on quality of life parameters in cardiac rehabilitation patients. American Journal of Cardiology 1997;80(7):841-846. Daub WD, Knapik GP, Black WR. Strength training after myocardial infarction. Journal of Cardiopulmonary Rehabilitation 1996;16:100-108. Stewart KJ. Resistive training effects on strength and cardiovascular endurance in cardiac and coronary prone patients. Medicine and Science in Sports and Medicine 1989;21(6):678-682. Also see weight training for older adults.